News travels so fast on the internet. 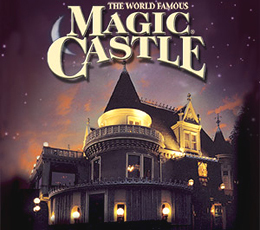 Reports started coming in about 30 minutes ago that the world famous Magic Castle in Hollywood was on fire. The fire/smoke was coming from the attic it was reported. The video below was shot from someones cell phone camera of the fireman working on the fire. There is certainly a lot of smoke, and let's hope not much fire. The link below is a report that the blaze is contained and hopefully by now the fire is out. Let's also hope that no one was injured and there is no damage to the rest of the building. My hope and prayers go out to the folks at the Castle. I hope everything is ok.